I am the mom of a spunky 8 year old boy and wife to an amazing husband, partner and friend. We live in Calgary, Alberta, Canada at the doorstep to the fabulous Rocky Mountains. Our family makes it a priority to get out to the mountains almost every weekend for what many would say are big adventures given we have a young child. We’ve taken our son backpacking since he was very young and we continue to make wilderness trips a priority in both summer and winter. We also enjoy hiking, paddling, biking, skiing, climbing, and camping as a family. No matter the season, we're outside and enjoying our beautiful backyard in the Canadian Rocky Mountains. It is never easy doing family trips to the mountains and this blog will never be all rainbows and lollipops. I describe the incidents that make us laugh as a family and the ones that make us want to throw in the towel and find a permanent weekend babysitter. (Hello Grandma!) There are real challenges when you choose to take your biggest passions and add children. That being said, I think we are surviving fabulously and it is my goal to inspire other families to also get out and explore the wonderful Canadian Rockies. To find out more about my freelance writing and the publications I've written for, go the Contact Me page. This page also has information on companies I've partnered with and my current Ambassador Roles. Wow, very nice place Calgary! Hope your son will be healthily grown up. Thanks Shuichi. I hope you can come visit Calgary and the Canadian Rockies some day. I have enjoyed your blog! Many great posts. I spend a few weeks every year with our boys in the Rockies, but as of yet have not been quite as adventurous as you with kids. Working up to it. Thanks. Glad you like my writing. Let me know if you need any suggestions for your next visit here. 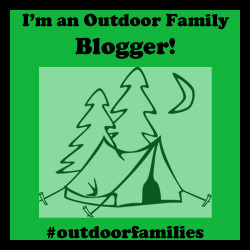 Stopping by as I work on the "Support Your Outdoor Bloggers" post. Thanks for getting us all organized and including me! Hope you're having a fun summer. I stumbled upon your blog and love it. We are from Calgary but now live overseas. We have two children ourselves and will most definitely keep your link for future visits home so we can head into the outdoors. You're a trooper! Thanks and good luck in the contest. I'll check out your blog. Hi! I am mom to a 13 yr old son who I have been taking hiking, camping etc with just the two of us since he was six, and with three of us from before that. 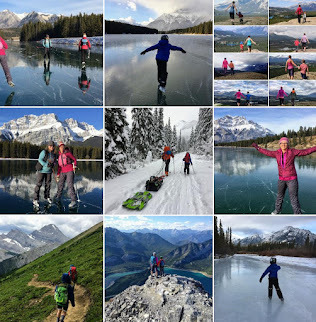 I have spring itchy feet but not enough time tomorrow to go out to Kananaskis or Banff, and found your blog while looking for more information on hikes within Calgary. I wanted to say thanks for the postings, and do please keep it up! Hi! I am mom to a 13 yr old son who I have been taking camping, hiking, etc with just the two of us since he was six, and with three of us from before that. I was looking for more information on hikes within Calgary to satisfy my spring itchings and found your blog - it's great, thanks, and definitely do keep it up! Really enjoying your blog, thanks for creating it! I've been hiking with my daughter in the Rockies since she was a baby, but only get out a couple of times a year. She is seven now and I find myself with more time (recently sold my business), and this summer I plan to get her out far more! Yesterday opened our season and we did Grassi Lakes, Ribbon Creek, Troll Falls and Grotto Canyon in two days. This has been a fabulous resource and I'm sure it will continue to be. Thanks again! Thanks a lot! Hope you enjoyed those hikes. They are favs. of ours for sure. Wow, I am just loving this blog... you are a very inspiring family!! Such exciting adventures you've done. I truly love how you include your child in things that many families wouldn't ever think possible. What an incredible gift you are giving to him by being active in the rockies!! Hey there! 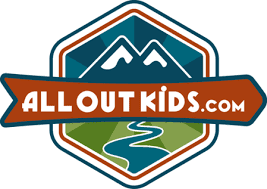 Stumbled across your site when looking for Canadian Rockies with kids through Google (I am based in the UK). It's mega expensive for us to get over to Canada so we are saving up but hope to do a self drive through the rockies with our kids in the next year or so. Just looking in to routes and places to stay to try and calculate a budget. Thanks Jackie, I'll email you. Thanks for leaving your comment and i'm glad you've found my blog useful. We were just in Penticton last week. Love it there. There are many camps here dedicated to families and kids together I think. Many of them are church Bible camps but the YMCA also does camps I think. Just do a google search for local camps and see if they do family camps. But it's a great idea. For my family, we usually book group campgrounds and go with friends, gathering groups of up to 10 families. It works well and we get to choose who we camp with. We generally choose families who all have kids in the same age range and are from my Outdoor playgroup community that I run. We are heading your way in a week to camp at Jasper and Banff National Parks. We are bringing 2 families with 4 kids 4 and under. It's gonna be dirty but fun. Thank you for all of your wonderful insider information! thanks and let me know what you end up doing. I'm always eager to hear trip reports from families who've tried new things in the parks. So many places yet to try! What a great summary. I'm from Edmonton and you're making me want to move to Calgary! :p Just found your blog today and I'm loving it! Thanks so much Karlie. Glad you found me! I see that you use a child carrier is some photos, do you have one that you recommend over others for a heavier toddler? We just used the Little Life child carrier and it seemed to work well. I had a very heavy child myself. Awesome, thank you! I will have to look it up, not happy with the MEC one we currently have. Do you have a child carrier that you would recommend for heavier toddlers? Hi Tanya, great blog! I have been reading your site as we now have a little son and have been doing some hikes in Canmore this week. I just figured out I know you. I am Paul, son of Roy and Donna from GP and we still see your dad often. Thanks for posting all this, we found the stroller friendly info particularly helpful. Hope you are doing good. Hi Paul! I definitely remember you. I'm glad you found my blog and that it's been useful for you. I need to get more posts up about stroller friendly hikes. I stumbled on your blog looking for info about Hai Ling (I’m planning a sofa to summit training program for myself and my son-16). We used to do trips with an Alpine Club that allowed kids under 18 on hikes, but then we moved to Alberta. I don’t like going alone with him. I don’t want to be ‘that’ unprepared person the SAR have to pluck out of the backcountry. I want to go with people we can learn from and maybe even make new friends. Do you know of any groups out of Calgary that allow kids his age on trips? I believe the Alpine Club of Canada here does allow 16 year olds on trips, but I could be wrong. You'd have to check with the local chapter. Other than that, I'm afraid I don't have many suggestions. My son is so much younger at 9, so any trips I plan usually have younger kids - and your son wouldn't make any friends. He'd be a great big brother/buddy to the younger boys but that might not be what he's looking for. If you want to email me though I can add you to my summit list and when we go out, you can always choose trips that might have some older kids coming. We do have tweens and teens along on occasion. My email is koob dot tanya at gmail dot com . Also Louise, I'd suggest checking out some of the local Facebook groups such as the Hike Alberta group. 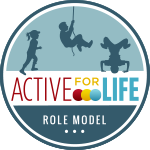 Post on there that you're looking for active families with teenagers.